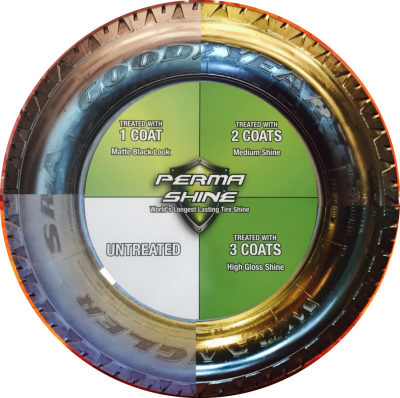 Perma shine by Always Dry is a silicone-free tyre shine clear coat that outperforms all tyre “dressings”. The tyres will be restored back to the new black lustre look they had when you bought them. It is a permanent nano clear coat tyre shine and will restore tyre shine that lasts for months! 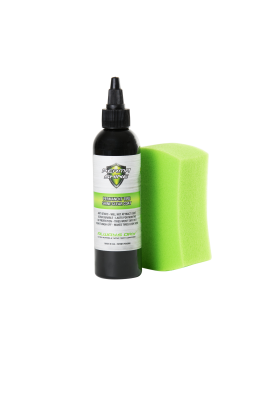 Perma Shine permanent tyre shine clear coat is environmentally safe and silicone free. Most tyre shine “dressings” last for days while Perma shine lasts for up to 30 washes. You will be surprised how different your whole vehicle will look when you apply it to your tyres. Your old dirty tyres will come to life in one application. Perma shine Tyre shine clear coat dries in minutes and lasts for months. Each 4 OZ bottle will cover approximately 4-6 tyres Multiple times. 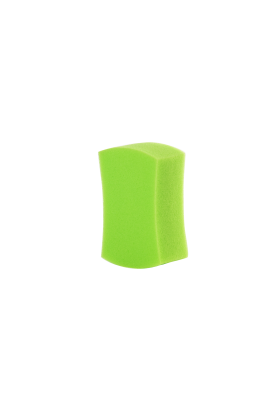 It contains no silicone; it’s Safe to use around a body shop. Perfect for use on Cars, Buses, Trucks, Trailers and Bikes. Enquire Today to spend more time enjoying your ride than cleaning it.